It's time to reveal the January gallery at Write Click Scrapbook! Our theme this month was 'Note to Self'. As I was looking through my photos deciding what to scrap, I came across a recent instagram pic. Looking at my two smiling boys hanging out together made me so happy that I had captured this moment. So my inspiration was a note to self about remembering to capture the everyday moments as I see them happening around me. 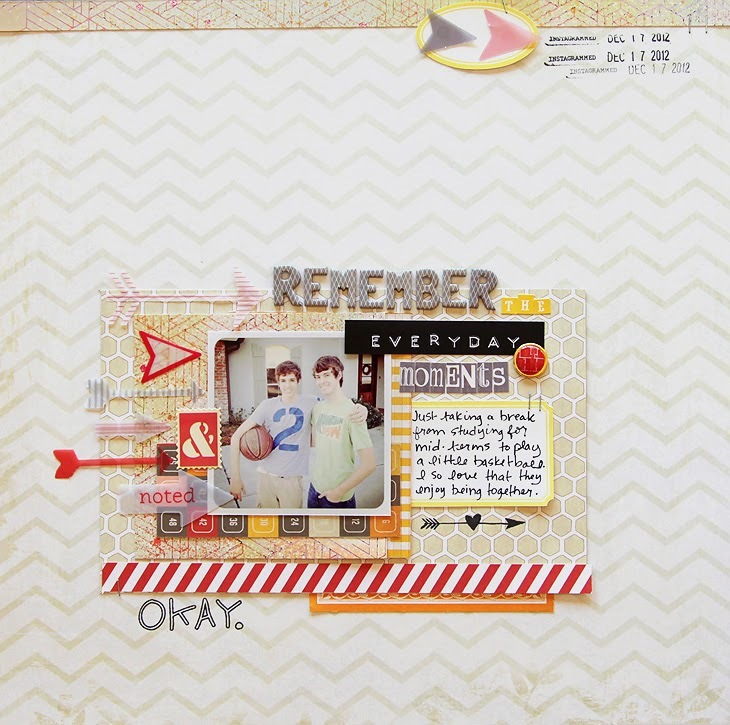 My layout was made with the Studio Calico December main scrapbook kit, 34th Street. The main scrapbook kit is sold out, but the Card Kit is still available, as is the Penn Station add on. I used my new Studio Calico date stamp to record the date at the top. I love that it has an 'instagrammed' option! Wishing you all a happy new year and a blessed 2013! 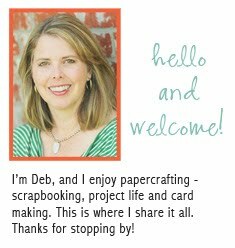 Labels: scrapbooking, write. click. scrapbook. great use of arrows! love the colors! Great page! The pops of red are great! I adore this page, Deb! That is the cutest pic, too! Great photo AND layout and I love the note! Wow! You are really talented! Love looking through all your work.